There are no zoning laws for weeds, or land use restrictions, easements, liens or property taxes. 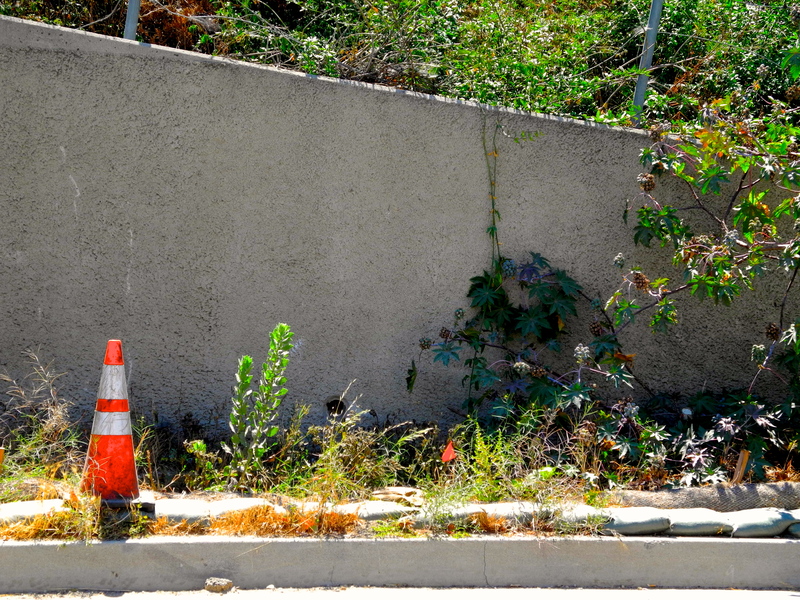 Weeds don’t wait for environmental studies or approvals from city hall. This diverse weed community of different species, shapes and sizes goes to prove that weeds will get along just fine, no matter the setting. They have made their family, and no detour will through them off course. The drivers in the bumper to bumper traffic can complain all they like, but the construction equipment, back hoes, ditch diggers, sand bags, jack hammers, and traffic cones make the weeds very happy neighbors to the 405. On your next commute, look out the window and wave at the roadside weeds!